In April 2018, Iraq held its fifth licensing round on the basis of a new model version of service contracts introduced in the previous weeks. However, with these new service contracts, the levels of state take are among the highest in the world and this explains why the bid round obtained mixed results with only 6 blocks assigned out of 11 on offer and no major international oil companies among the winners. In March 2018, Parliament passed legislation, still to be implemented by the government, whose goal is to reform completely the management of Iraq’s petroleum sector, but the regulatory outlook remains uncertain. The most important element of the legislation would be to re-establish the Iraq National Oil Company, which would be put in charge of Iraq’s petroleum contracts and would be the holding company controlling Iraq’s regional oil companies. “Iraq Upstream Fiscal and Regulatory Report - Sector Challenged by Regulatory Uncertainty and Tough Fiscal Terms”, presents the essential information relating to the terms which govern investment into Iraq’s upstream oil and gas sector. The report sets out in detail the contractual framework under which firms must operate in the industry, clearly defining factors affecting profitability and quantifying the state’s take from hydrocarbon production. 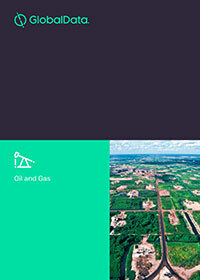 Considering political, economic and industry specific variables, the report also analyses future trends for Iraq’s upstream oil and gas investment climate. Outlook on future of fiscal and regulatory terms in Iraq. Utilize considered insight on future trends to inform decision-making.